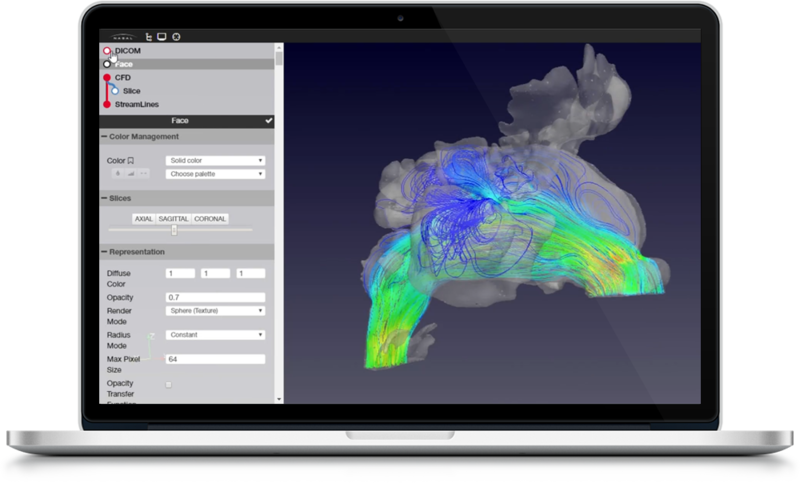 Postprocessed viewer is a tool that allows to launch a resolved case and allows the interaction with a 3D representation of the results of the study. 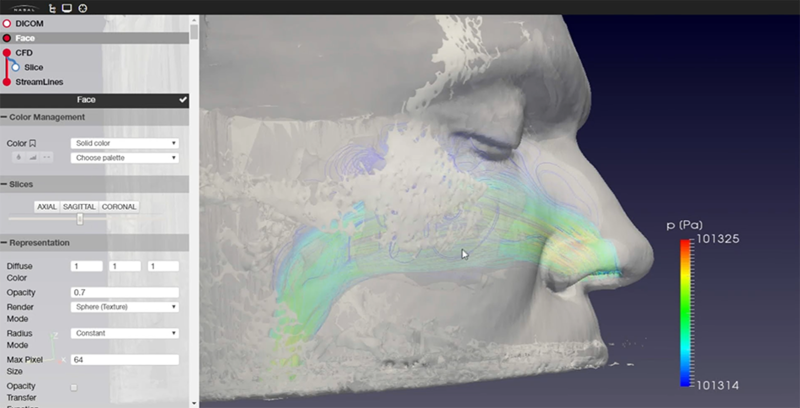 You can compare the geometry generated with the radiological study, the facial surface of the patient and the results of the study of flows in an agile and interactive way. MENU: it allows us to activate the viewer sections. NORMAL CAMERA: it allows us to activate the default camera. ENDOSCOPIC CAMERA: it allows us to activate the endoscopic camera. It allows us to activate/deactivate the representation elements of the results. DICOM: shows the radiological study of the case. FACE: geometric reconstruction of the facial surface of the case. CFD: shows the geometric reconstruction of the case and allows the configuration of the variables results on the walls. SLICE: shows in axial, sagittal and coronal cut the variables values of Temperature, Pressure and Velocity. STREAMLINES: shows in axial, sagittal and coronal cut the values of Temperature, Pressure and Velocity through Streamlines. 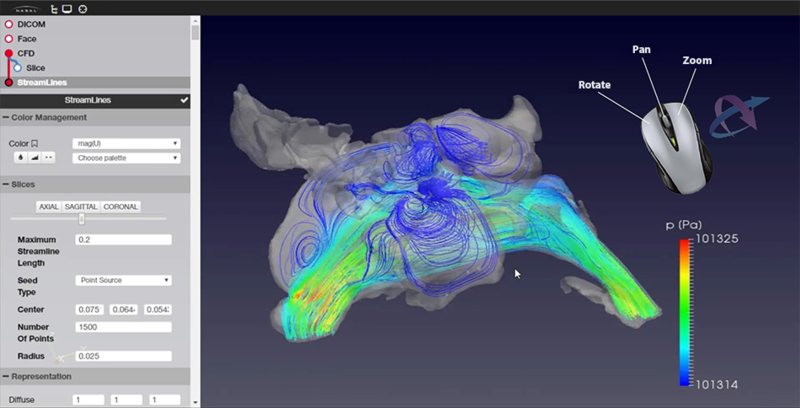 allows the visualization of the simulation result. can be operated with a mouse. Left button is used to rotate, right button for zoom and central button to pan. In the next video you can see the Postprocessed Viewer in action and you can check all available options.